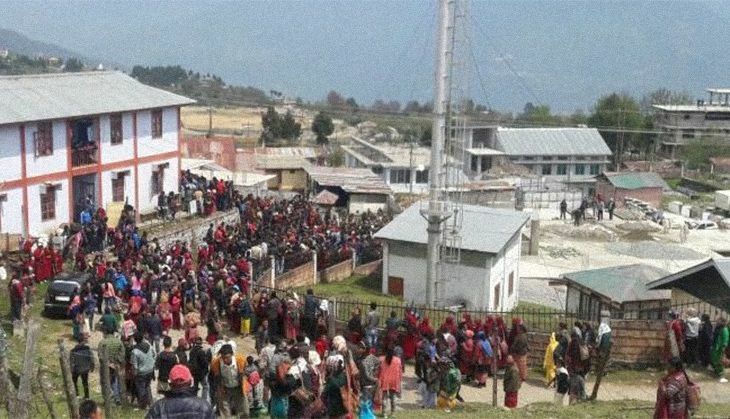 On 2 May, two people reportedly lost their lives after two groups clashed during a massive protest staged by hundreds of monks and nuns against the arrest of a popular monk Lama Lobsang Gyatso in Tawang, Arunachal Pradesh. According to a media report, the protesters assembled in front of a police station demanding Lama's release. The police resorted to firing to control the raging mob. Other reports claim that another group was reportedly protesting his remark on the nationality of the Abbot of Tawang. Lama Lobsang Gyatso, a monk heading the Save Mon Region Federation, a group opposing hydro power projects in Tawang was reportedly arrested after a complaint was lodged against him for defaming the Abbot of the Tawang Monastery, Guru Tulku Rinpoche, the spiritual head of Mon region in Arunachal Pradesh by questioning his nationality through an audio clip.